Minister of Foreign Trade and Economic Relations of BiH Mirko Sarovic said that we have been working on development of energy strategy for several years now, and that he expects it to be adopted at the next first sitting of the Council of Ministers of BiH. “It seems to me that we overcame all of the obstacles, we received the opinions of entities, we agreed on details during the last couple of days and I believe that we can have this important strategy by the end of August,” said Sarovic, adding that we are the only country without energy strategy yet. Alongside that, he added, it opens doors to various EU funds, funds for Western Balkan countries. While talking about the accession of BiH to World Trade Organization (WTO), he said that our country has only one step left, and that is bilateral negotiations with Russian Federation, since we completed bilateral negotiations with Ukraine, Brazil, and the USA in 2013, but we formalized it just recently by signing the agreement in Geneva. In the Ministry of Foreign Trade and Economic Relations of BiH was prepared a decision in accordance with the highest European standards which, according to Minister Sarovic, is important for all of us and for accession to the WTO. He believes that this decision, which has been prepared and sent into further procedure, could be found on the next sitting of the Council of Ministers of BiH, and that there will be enough understanding of his colleagues to realize how important it is to adopt one such decision. While talking about benefits that BiH can expect after accession to the WTO, he noted that it is a big thing for a country to become member of WTO. That means that we are the part of that large family, that we apply rules in international trade that are globally accepted. I think that we will get access to other markets, that we will be more competitive country and more quality for investments, since investors first look whether the country is the member of WTO or not. That opens some doors. Our economy can expect great benefits, therefore I consider this as a very important question. 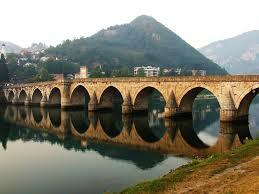 My wish is to finalize it,” said Minister Sarovic.